Your kitchen needs to be a functional place, but that doesn't mean it can't display great elegance and individuality. J2 Design Concepts recognise that we probably spend more time in our kitchen than anywhere else in the home. It is the place where we cook, eat and gather with family and friends. The design of your kitchen requires much consideration to achieve the look and functionality you desire. 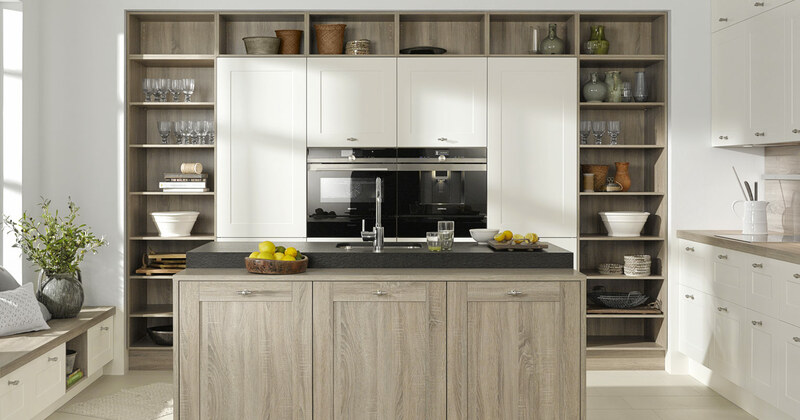 Quality is extremely important to our business so we only use a network of approved specialists and, to provide you with complete peace of mind, our kitchens carry a five year warranty. We can create a bespoke plan to suit your own space and style, each detail is an individual decision. 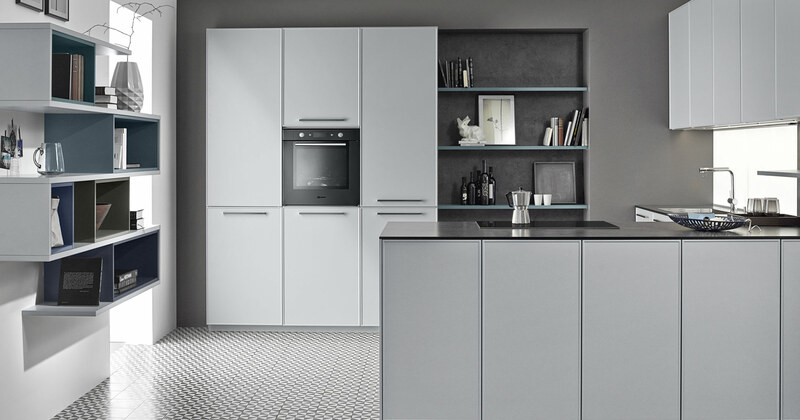 Minimal, clean lined and modern mix of gloss, matt, textured and super smooth finishes achieve an ultra modern appearance whilst the fundamental design of the in-frame kitchen has withstood the test of time. Light creates homely atmosphere and provides accentuation. 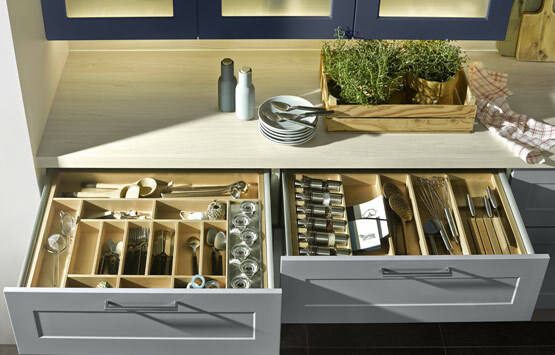 Clever storage solutions including pull-out units, internal drawers, inner dividing systems and waste management options are designed to increase accessibility to your kitchen cabinets whilst adding dynamic style. 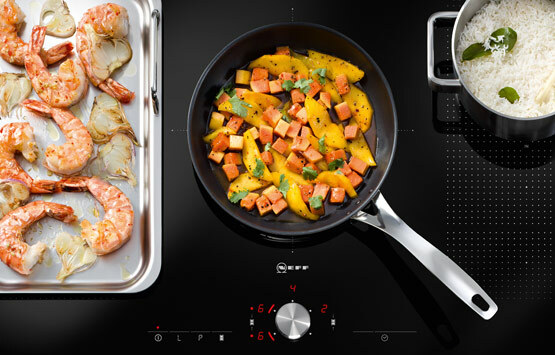 With smooth operating mechanisms these make for an attractive asset to your kitchen. 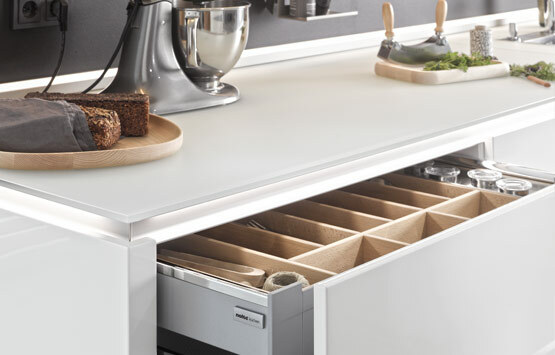 Our cabinets come in a range of colours, heights and depths with soft close doors and drawers as standard and either handleless or with fitted handles of your choice. We can create a bespoke plan to suit your own space and style, each detail is an individual decision. Appliances are fully guaranteed from the date of purchase when registered with the manufacturer. 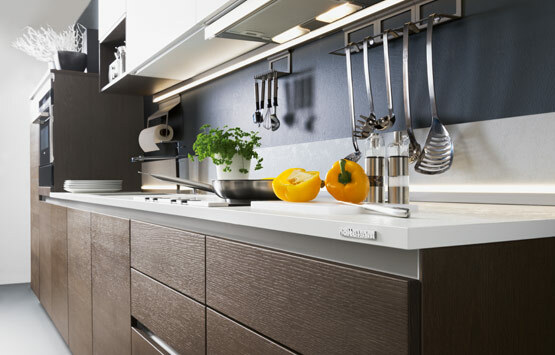 Nolte Küchen is Germany’s most popular brand of kitchen chosen via looking at product quality,range, price, warranty/guarantee as well as image.The company has been certified according to PEFC and were one of the first in the industry to obtain FSC certification. The Nolte Küchen brand stands for exceptional quality, for diversity and service, reliability and continuity.All handling of door fronts, worktops and units as well as the refinement of surfaces and edges is carried out in optimised processes using fully automated, computer-controlled machinery.Combined with the finishing touches added by qualified employees this results in a precision that goes far beyond the “quality of craftsmanship”. 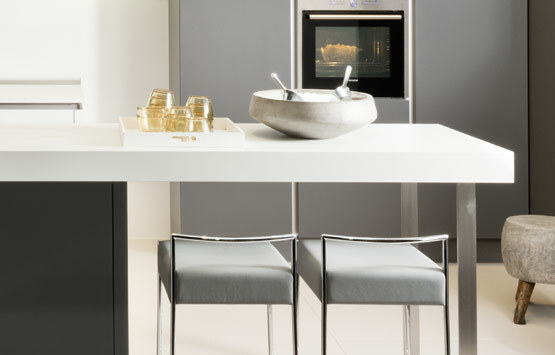 J2 Design Concepts are qualified specialist Nolte retailers. 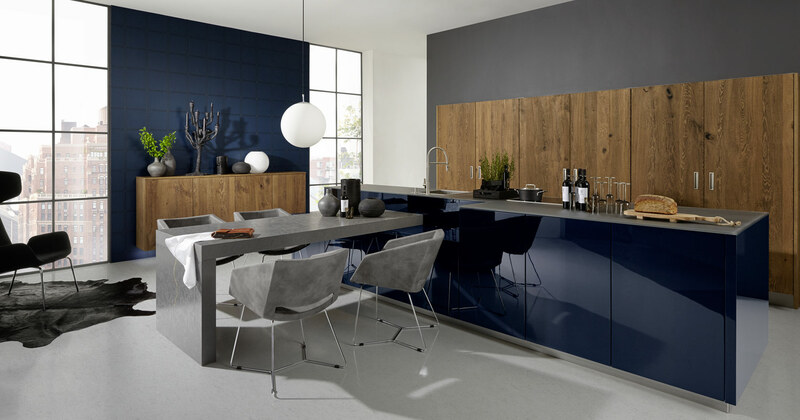 We talk you through the complex, highly functional furniture and offer advice to ensure your kitchen is made especially for you, customised to meet your exact requirements. Oakleigh furniture is fully bespoke and manufactured to the highest standard by skilled craftsman. Furniture is designed and created in a selection of wood species, stained and polished to the finish required. If a painted finish is preferred, a spray paint finish can be carried out in the workshop or a hand-paint finish on site, both in the colour of your choice. J2 Design Concepts also opens the potential of creating furniture pieces to cater for an open plan living space to complete a stylish room setting. The right seating is essential when the kitchen replaces the living room as the central living space of your home and TV units or niches with optional motifs and back lighting ensure a feel-good atmosphere in your kitchen. 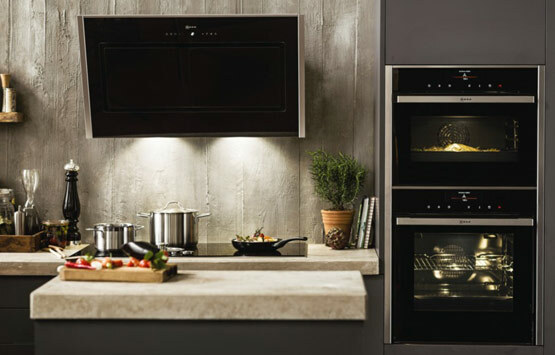 With ovens, microwaves, steam ovens, warming drawers, coffee machines, hobs and hoods, as well as dishwashers, refrigeration and laundry we are committed to supplying energy efficiency high quality products that meet the demands of everyone’s lifestyle. We use the most advanced technological integrated and free-standing products which perform to the highest standards and look great too. 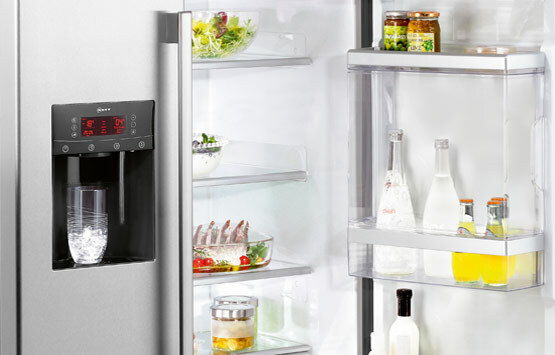 J2 Design Concepts are Neff Master Trading Partners but also supply appliances from a variety of manufacturers including Grundig, DeDietrich, NordMende, Miele and Hotpoint. 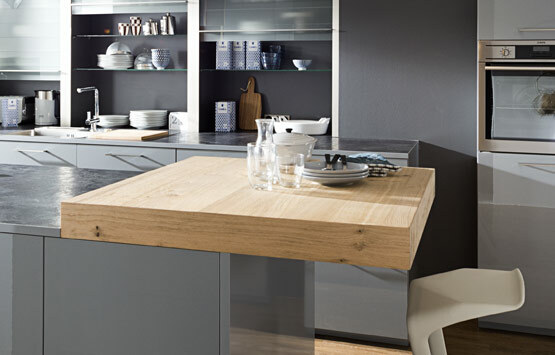 Our laminate worktops match or compliment your kitchen and have a range of thicknesses - 16, 25, 40 or 50 mm. They have a high quality finish and a versatile choice of colours, woods or stone looks. Clear plain colours give the kitchen elegance and a realistic stone look gives structure to the entire room. 12mm glass worktops provide lightness and solid core extreme durability. Embodying the concept of custom-made adaptability Corian can be relied upon to creatively answer individual surface requirements in pure and original form. 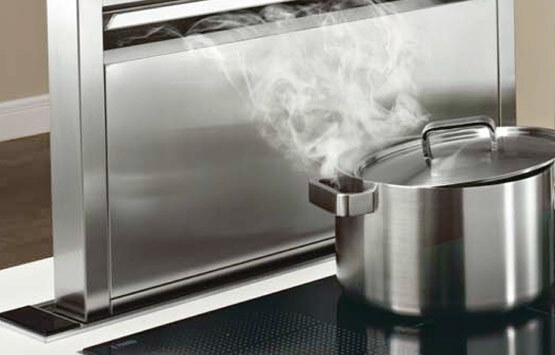 Lustrous and silky to touch its solid and seamless homogeneity makes it a sensibly hygienic choice. Quartz surfaces retain the cool, tactile qualities of natural stone with a durable work surface designed for ease and convenience. Designs range from fine grained salt-and-pepper patterns to coarse-grained colour blends with variegated visual texture. Each surface has a perfectly polished finish. Granite itself has a wonder of simplicity, combining aesthetics with durability, luminosity and variety whilst a solid wood top grows more beautiful with age and nothing can equal its timeless look and natural feel. Having taken great care in selecting the furniture and appliances for your new kitchen it is also important that the sink and tap you select also meets your criteria. 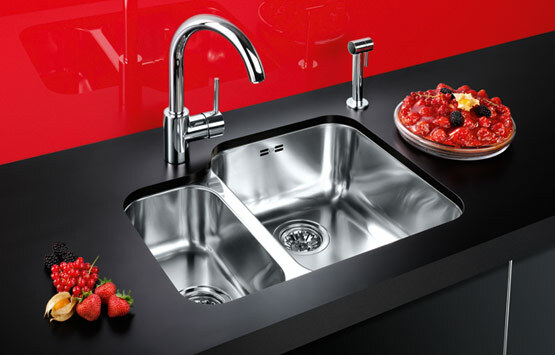 We offer a range of top and under-mounted stainless steel, ceramic and composite sinks in different colours and models. 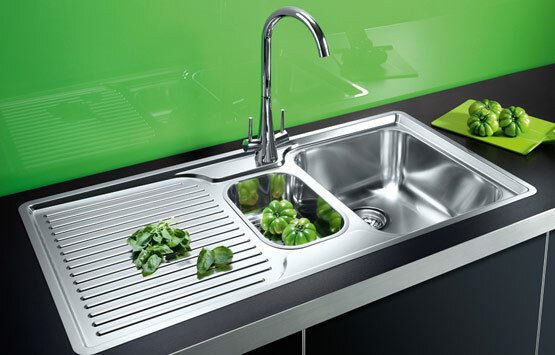 All our stainless steel sinks manufactured by Blanco, Franke, 1810 and Sterling are made from premium quality grade steel which is selected to provide reliability and to ensure that the attractive appearance with the minimum of maintenance is retained year after year. 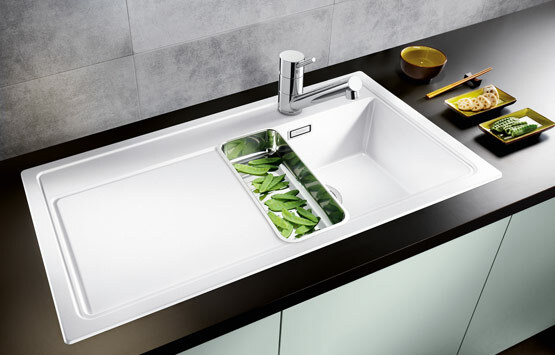 Ceramic sinks have a hard, non-porous surface, they are extremely durable and offer a truly high quality finish. 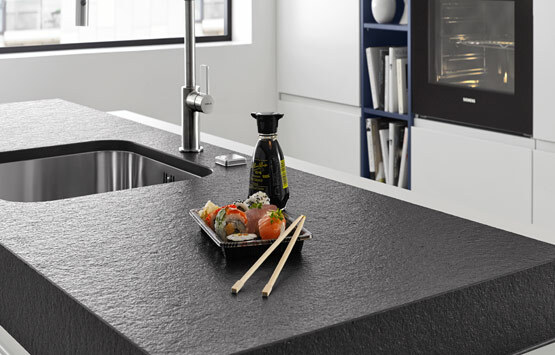 Our composite sinks are made of natural granite or quartz combined with acrylic resin. Taps come in a variety of contemporary and classic designs. 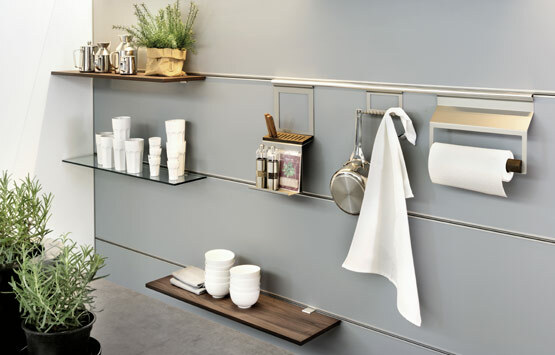 There are many installation types to choose from: the standard monobloc, the bridge or three-hole mixers or the increasingly popular wall-mounted style. 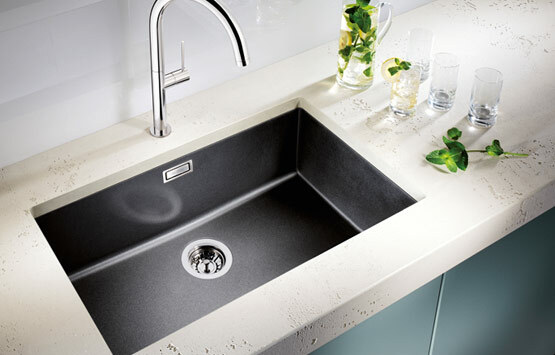 Style and quality are key with leading manufacturers Abode, Gessi and Grohe. Filtered, chilled, sparkling and boiling water taps are both energy efficient and environmentally friendly. 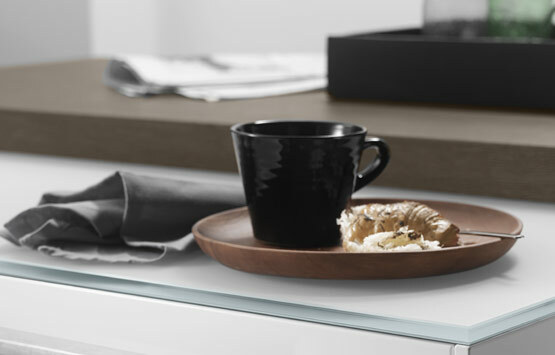 With their elegant sleek lines they bring a level of convenience while complementing minimalist design.